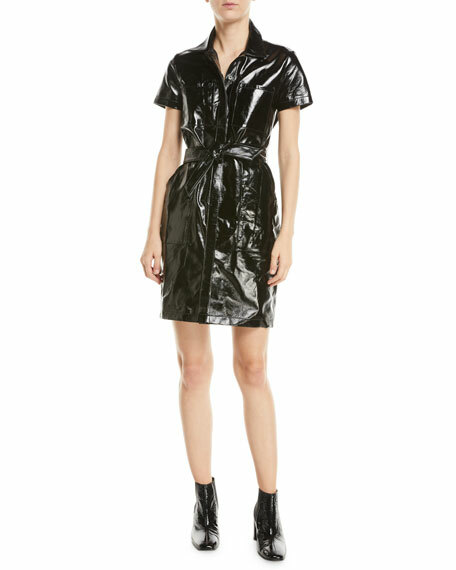 J Brand "Lucille" dress in shiny lamb leather. Spread collar; concealed button front. For in-store inquiries, use sku #2775636.